Is your board room the comfy corner booth at your local coffee shop? 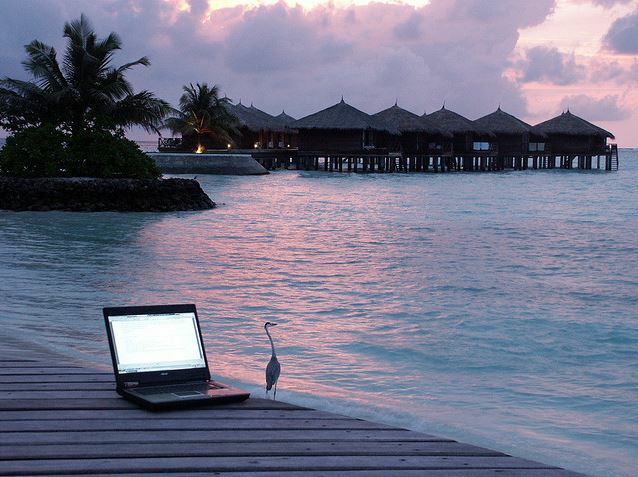 Is a white sand beach your office? Does your couch double as your desk? If you answered yes to any of these questions then you may be eligible for TDS Telecom’s The Face of Telecommuting contest. Starting right now and running until May 30th if you share a picture with us from a day in your life as telecommuter you’ll be entered for a chance to win a $50 Amazon gift card. The two photos with the most votes will the prizes. If you’d like to submit a photo or look at the complete list of contest rules click here.